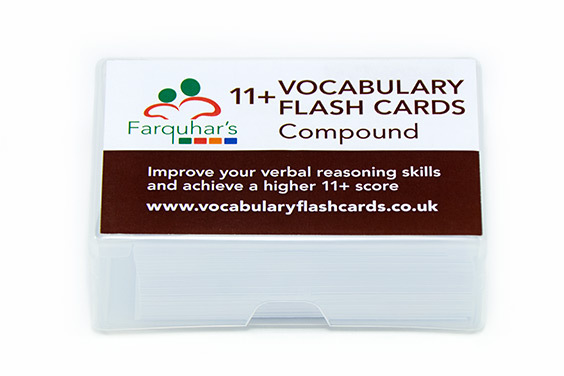 Hello, I'm Mary Farquhar, I'll tell you why I started Vocabulary Flash Cards. As a parent I fully understand the anxieties faced by parents preparing their child for an entrance exam. We all want our children to be happy and successful but trying to balance homework, clubs, sport, dancing etc., as well as preparing for an important examination, can be a stressful time. When we decided to enter our son James for the 11+ we started learning the various techniques required and looking up definitions of unknown words. Although James was an avid reader, it was the vocabulary area that he found the most daunting and the most time consuming as more and more words with their definitions were added to various pieces of paper and word books. 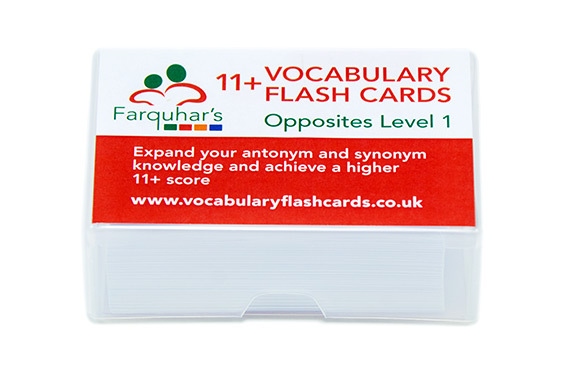 I decided to break some of the lists down into a series of flash cards and concentrate on a few each day. As the pile of learnt cards grew so did James’ confidence. His writing became more imaginative at school and he started to enjoy using his new words in everyday speech. I am very pleased to say James passed for Pate’s Grammar School in Cheltenham. 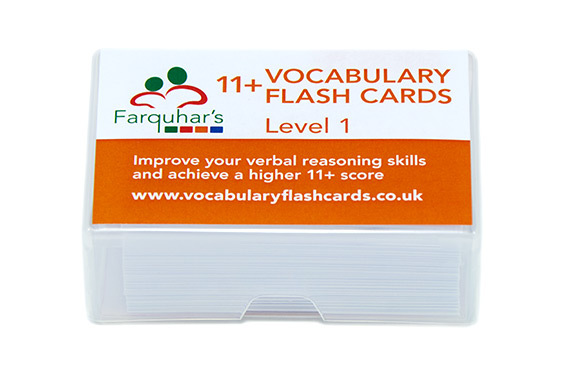 When it was time to start preparing our son Alex I went straight to flash cards and my Vocabulary Flash Cards were officially ‘at trial’. We scattered cards around the house, taped them on doors and passed them around at the tea table. We kept a small selection of the more tricky words permanently on the ring binder to take with us when we were out and about, especially on car journeys. Alex too passed for Pate’s Grammar School. 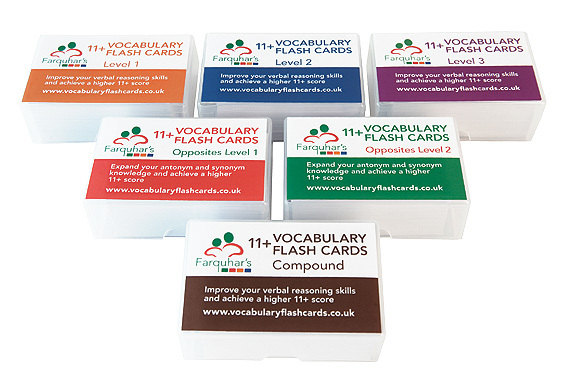 With both boys settled at school I began to ‘fine tune’ the cards, ensuring I included a wide selection of key words, homophones and commonly confused words. I liaised with various tutors and teachers who volunteered specific words that children regularly struggle with in mock exams. 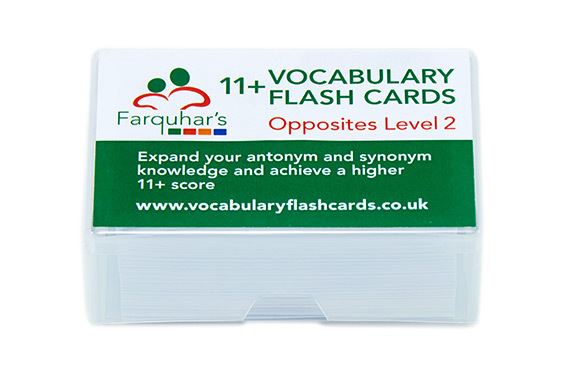 All of the words have appeared in 11+ practice material, and I continue to add to and update my cards as the 11+ evolves. My original idea of an opposite set has been particularly well received. 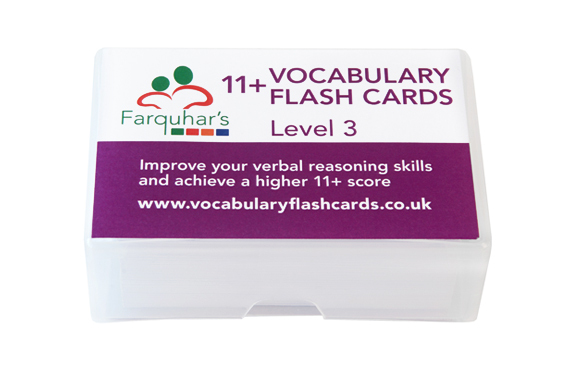 Flash cards are a powerful learning tool; simple and versatile, used regularly they will definitely boost both confidence and results. 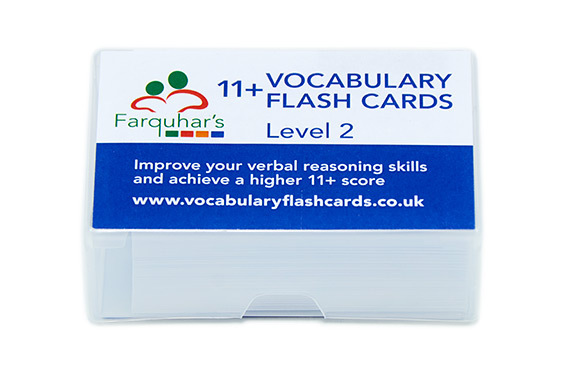 I hope you enjoy using my flash cards and wish you all good luck whether you are preparing for an entrance exam or just wishing to improve your child’s vocabulary.